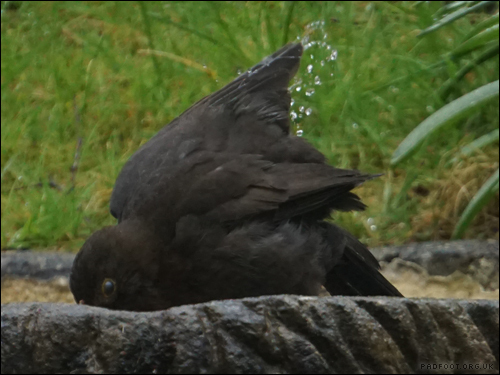 This entry was posted in Dragon Goes Wild and tagged #StayWild, Bird bath, Blackbird on June 2, 2018 by Dragon. You can tell it’s Spring when…. 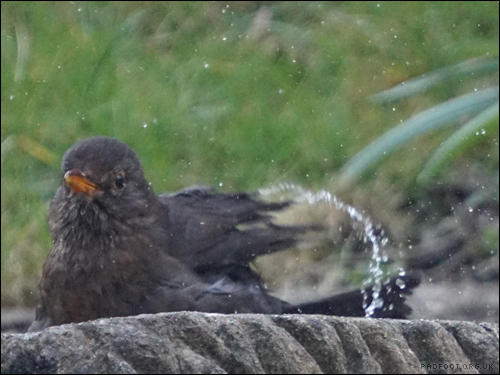 ….the birds are queuing for a bath – this female Blackbird was having a lovely time! 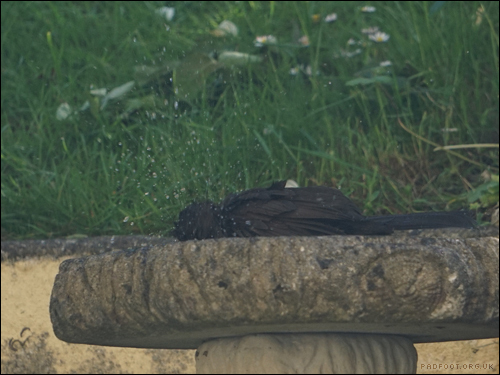 To start with, she sat in the bird bath like it was a nest, before starting to splash the water over her back. 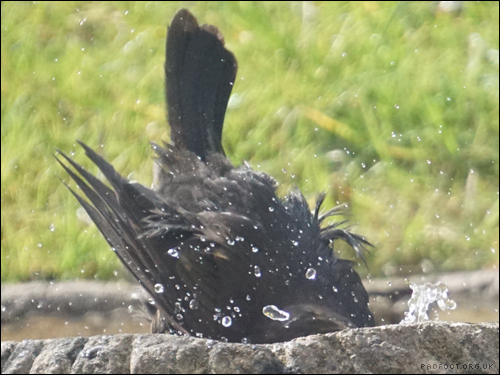 This entry was posted in Dragon Goes Wild and tagged #StayWild, Bird bath, Blackbird, splash, water on March 26, 2018 by Dragon. 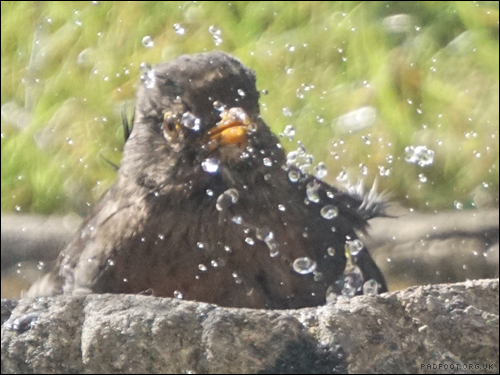 I still can’t figure out the right settings on my camera to get a faster shutter speed – the water droplets are nice and clear, but the bathing blackbird is still a blur! 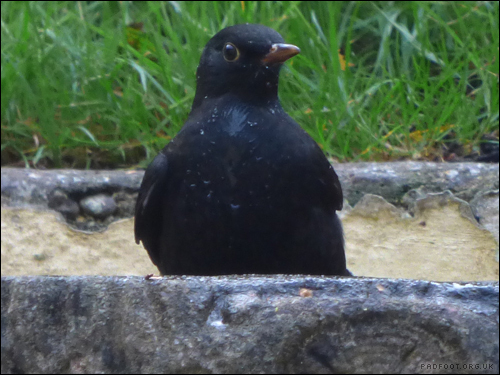 This entry was posted in Dragon Goes Wild and tagged #StayWild, Bird bath, Blackbird on November 9, 2016 by Dragon. 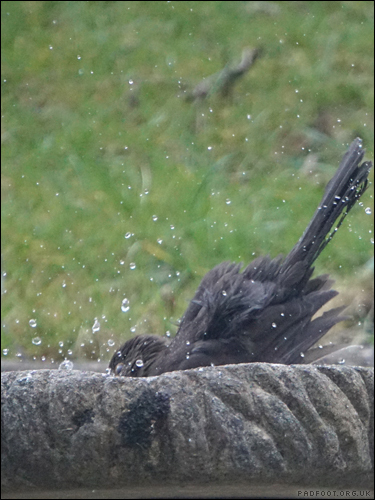 You’d think the weather was a little cold for outdoor bathing, but the blackbird took advantage of the bird bath being full to the brim! 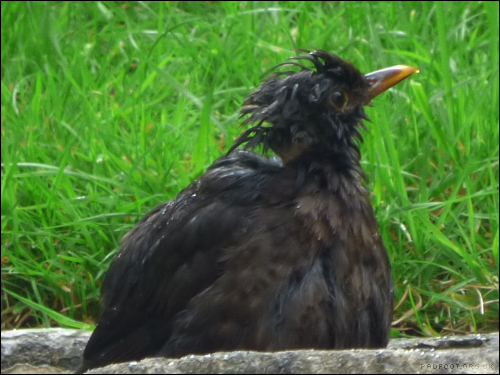 This entry was posted in Dragon Goes Wild and tagged #StayWild, Bird bath, Blackbird on November 8, 2016 by Dragon. 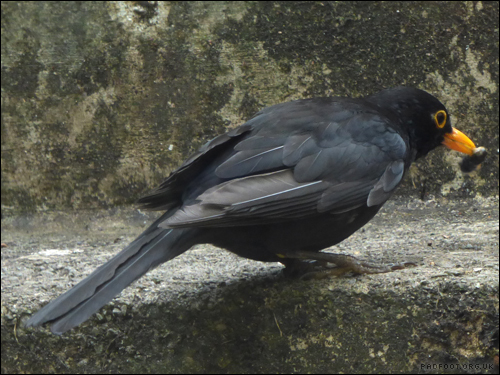 Either this Blackbird was very comfortable around humans, or just particularly hungry. 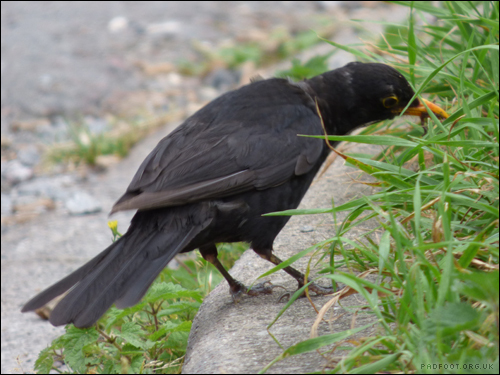 He was carrying what looked like a worm in his beak, but still kept on rummaging around in the grass verge. As we walked past, he flew into a nearby hedgerow, but returned to the grass verge once we’d passed. I’m guessing he had youngsters to feed, and one solitary worm wasn’t going to be enough! 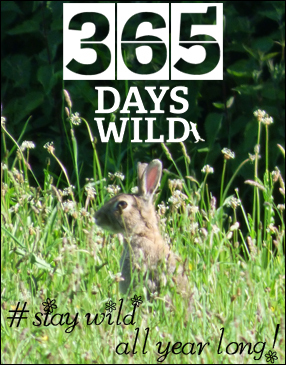 This entry was posted in Dragon Goes Wild and tagged #StayWild, 365 days wild, Blackbird on August 16, 2016 by Dragon. 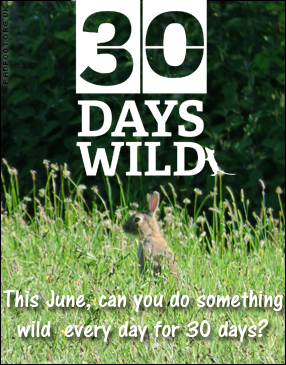 Ok, so that’s a bit of a strange title for a blog post, but you’ll see what I mean when you get as far as the photos. 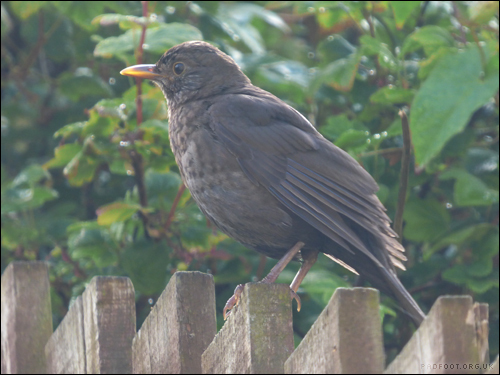 The blackbirds have decided to take up residence in the garden – whether they’re sitting in the ornamental Quince tree, taking a bath, or eating yet more of the Berberis berries, there’s not many moments in the day when there isn’t at least one blackbird in the garden. 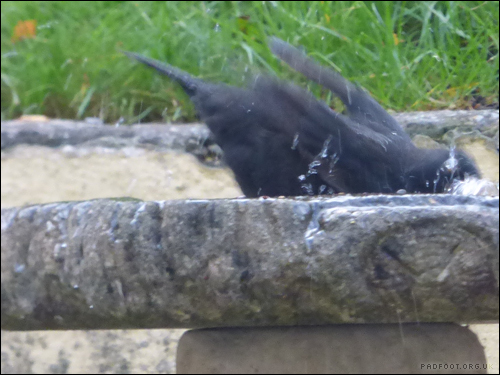 The bird bath is proving almost as popular as the berries right now, with one particular bird taking multiple baths in a day (that one has a slightly lighter patch of feathers on his back, so he’s easier to tell apart from the others). 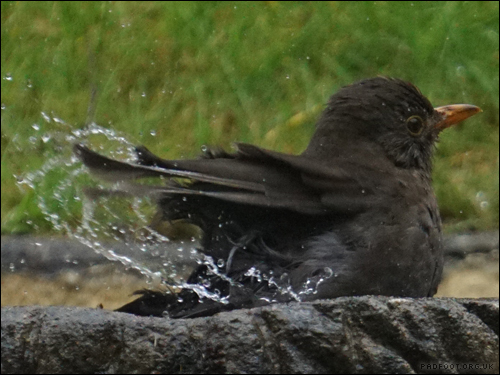 Today however, one of the other blackbirds decided it wanted to have a nice wash – the water had just been topped up, so there was plenty of opportunity to splash it all over. And there’s the punk rocker! 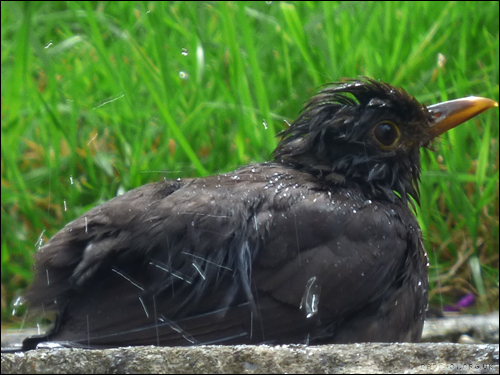 I’ve seen birds taking a bath in the garden before, but haven’t ever seen them get quite so wet! Rather than flying into the relative safety of the Quince to dry off like the other birds do, this one decided that the lure of the berries was too great, and flew into the Berberis for a quick snack while it dried off! 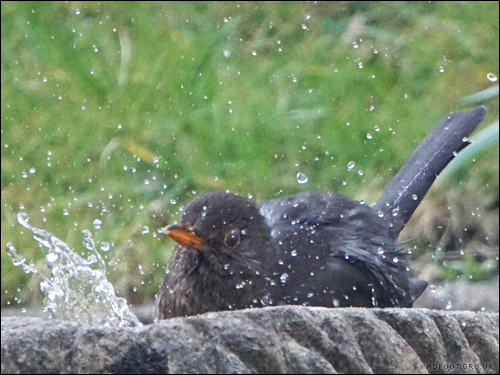 This entry was posted in Dragon Goes Wild and tagged 365 days wild, Bird bath, Blackbird on July 14, 2016 by Dragon. 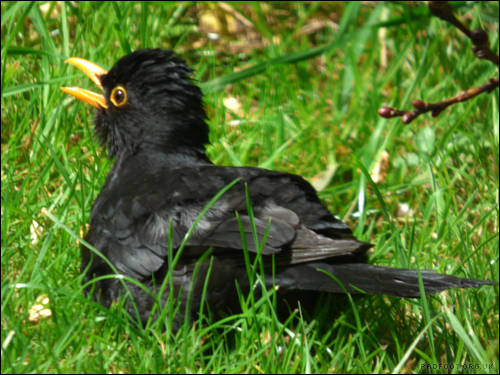 The blackbird is back for more! Not content with letting the sunbathing crows take all the attention, he sat on the grass and started to sunbathe. It’s a strange sight, especially when they always sit with their beak wide open. 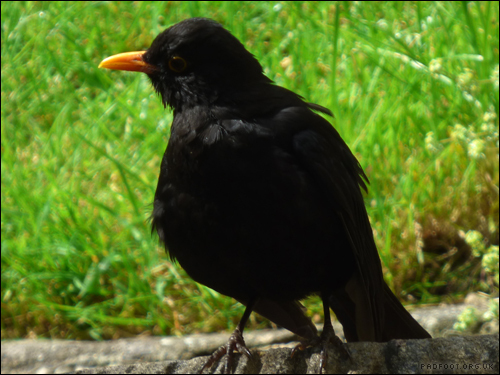 Unusually for a sunbathing blackbird, he kept moving around – maybe he wanted to get the sunlight on both sides rather than just one. 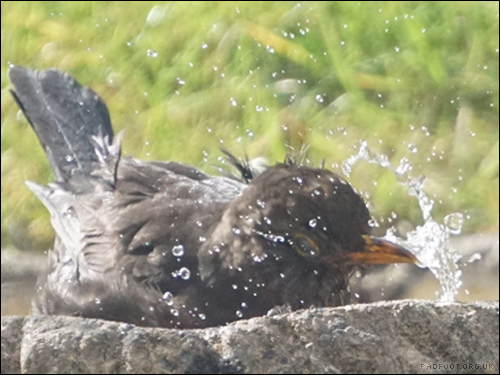 Having finished his sunbathing, he then came down to the birdbath for a quick wash, before heading back for more berries! 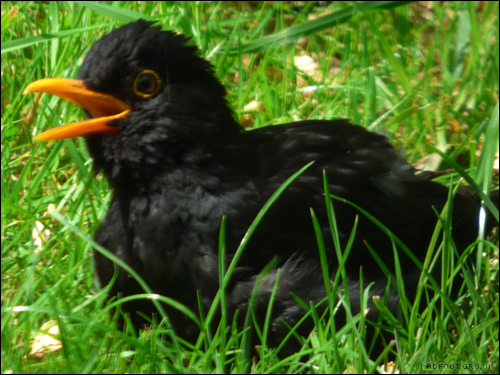 This entry was posted in Dragon Goes Wild and tagged 365 days wild, Blackbird, Sunbathing on July 11, 2016 by Dragon. 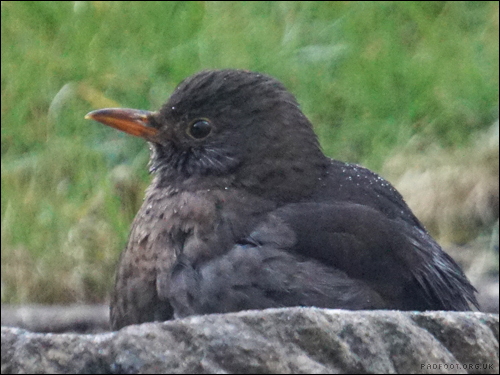 The blackbird that featured in my previous post is back for more! Obviously those Berberis berries are just too tasty to resist. 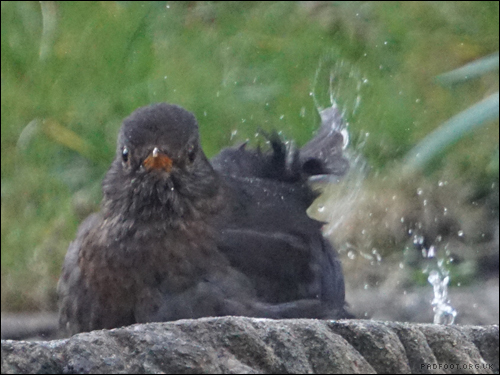 Normally when a berry has dropped from the tree, the birds ignore it but this blackbird had other ideas! 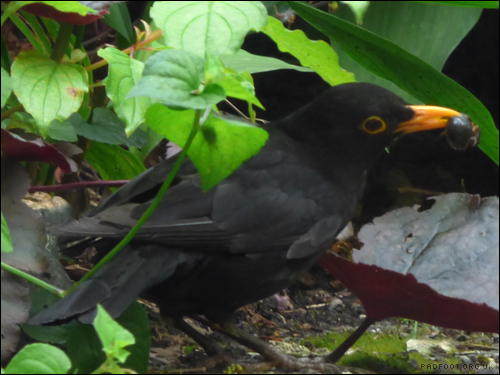 He found a lone berry under the leaves and managed to pick it up neatly by the stalk. Then flew over to the steps so he could put it down and eat it. Unfortunately for him, there was only the one berry sitting under those leaves, so he then had to fly up to the branches to pick more! But I think he gets 10/10 for ingenuity at picking one that had already fallen. This entry was posted in Dragon Goes Wild and tagged 365 days wild, Berberis berries, Blackbird on July 10, 2016 by Dragon.